The Mill Street Jazz Band was formed more than twenty years ago, and began rehearsing in Mill Street, Broadwey, Dorset, hence the name of the band. The band plays a nice combination of traditional jazz, mainstream, and good old jazz standards. The rhythm section – the trio – plays some wonderful Latin numbers, giving the band lots of versatility. We aim to provide both lively and swinging music, that gets feet tapping, and some gentle jazz. 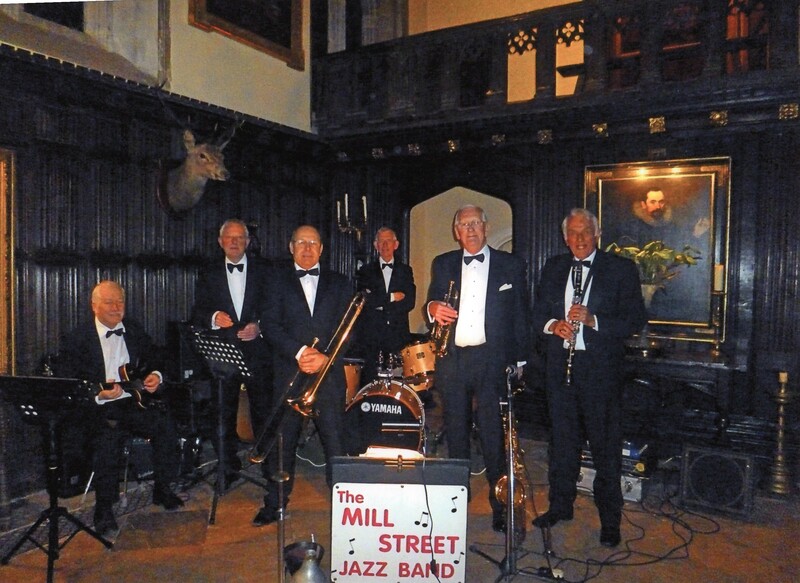 The Mill Street Jazz Band plays regularly at parties, fetes and weddings in Dorset and Somerset, and we like to play in pubs – for the atmosphere, not necessarily the beer. We supported the Syd Lawrence Orchestra at Kingston Maurward a few of years ago, which was one of our high spots; and also we have frozen in Dorchester for the Christmas Cracker, which was not!